Kiwi Property has been awarded a 4.5 star ‘excellent’ NABERSNZ energy rating for 44 The Terrace, reaping the rewards of a 10-year focus on energy efficiency. Our Wellington office building at 44 The Terrace has been awarded a 4.5 star ‘excellent’ NABERSNZ energy rating, reflecting our 10-year focus on energy efficiency. 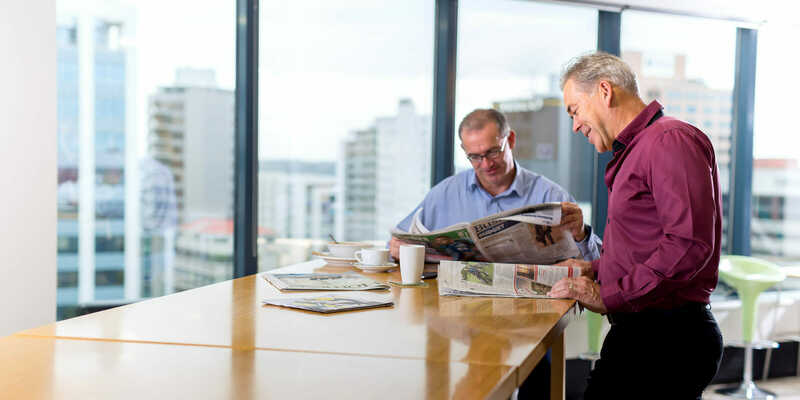 The 12-storey office complex was built in the 1980s and houses mainly government tenants, including the Commerce Commission, Tertiary Education Commission, Human Rights Commission and the Energy Efficiency and Conservation Authority ‘ also the licensee of NABERSNZ.